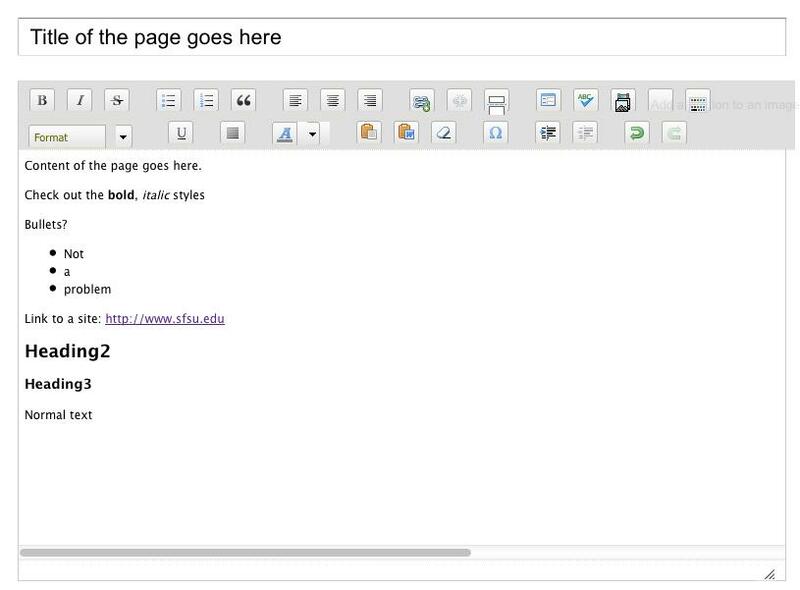 You will be taken to a page to enter the title of the page and the content (in the text area below Title). This text area has formatting options similar to MS Word. The “Menu options“ on the right section has a “Provide a menu link” checkbox that’s checked by default. This is to automatically create a menu tab for this page. Type in the ‘Title’ field in the Menu Options section to create the new menu tab. You can uncheck the “Provide a menu link” if you don’t want to display a menu tab for this page. 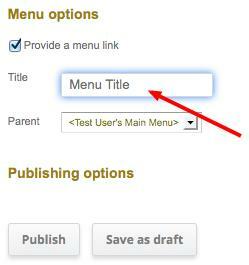 When you are done with the content and menu title, click on the Publish button on the right section of the screen.